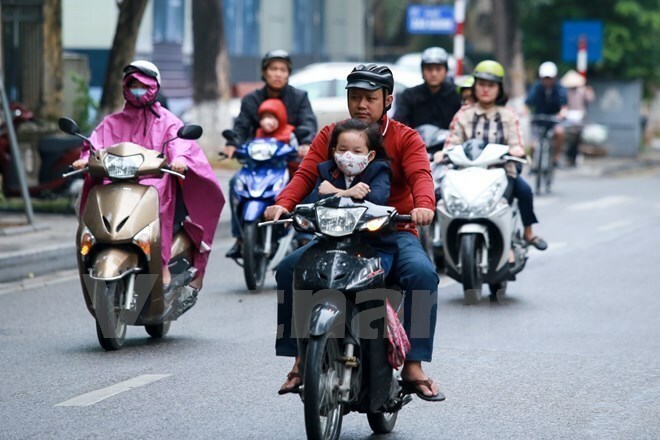 Hanoi (VNA) – Cool weather is likely to hit northern Vietnam thrice in the first half of May, only able to cause heavy rain, according to National Centre for Hydro-Meteorological Forecast. The centre forecast that up to two hot spells will take place in turns with the cool weather in May but they won’t last long or be severe. The hot spells are expected to bring high temperatures to the northwestern region and the northern and middle parts of central Vietnam. Meanwhile, increase in rainfall is predicted for the Central Highlands and southern Vietnam this month as the dry season in the regions is about to end. Rainfall from north central Thanh Hoa province to central Thua Thien-Hue province will be 15-30 percent higher than the same period of previous years.